Everything you need for e-commerce, is right here. This program gives you your own separate e-commerce site for the circulation department, offering you more freedom with your own URL and any number of special offer landing pages to meet your marketing needs. It is more flexible, functional, feature-rich, and clean-looking than what you’re currently using. It is standalone, independent, and does not require internal IT resources. 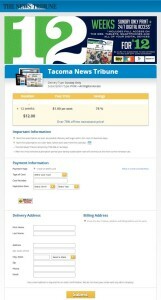 This system was built FOR newspaper circulation departments using industry experience, input, requests, and feedback! Circ Marketing Site “upgrades” the functionality of your current e-commerce add to cart and check out webpages. 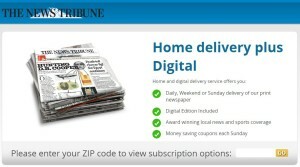 With a quick rollout in as little as 3 days, you can enhance the user experience on your newspaper’s website. 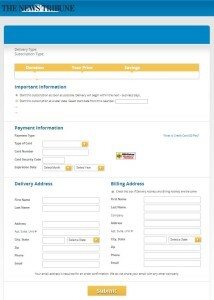 Main e-commerce page features 1, 2, or 3 panels for easy consumer navigation. Zip code look-up handles multiple zip code zones that pull location-based offers. 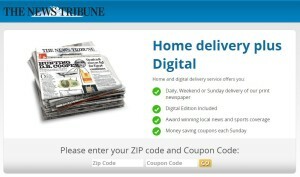 A Landing Page for Any Offer. 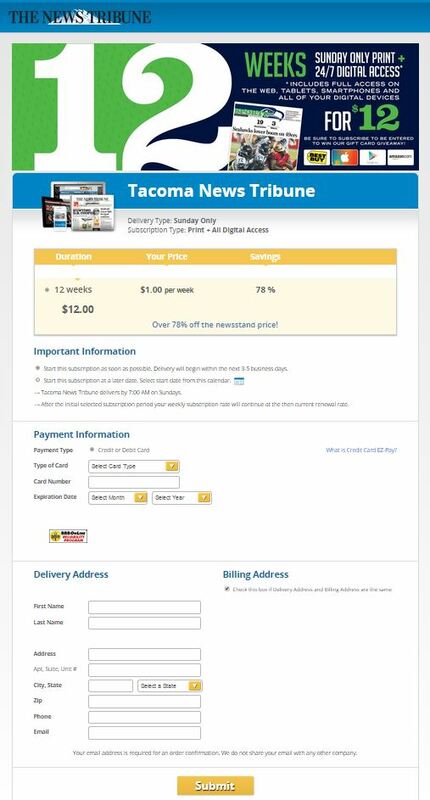 Whether a consumer lands on your Circ Marketing Site from your e-mail marketing efforts, from online advertising, or your latest direct mail promo, you can turn more of your website visitors into newspaper subscribers by making it easier for them. 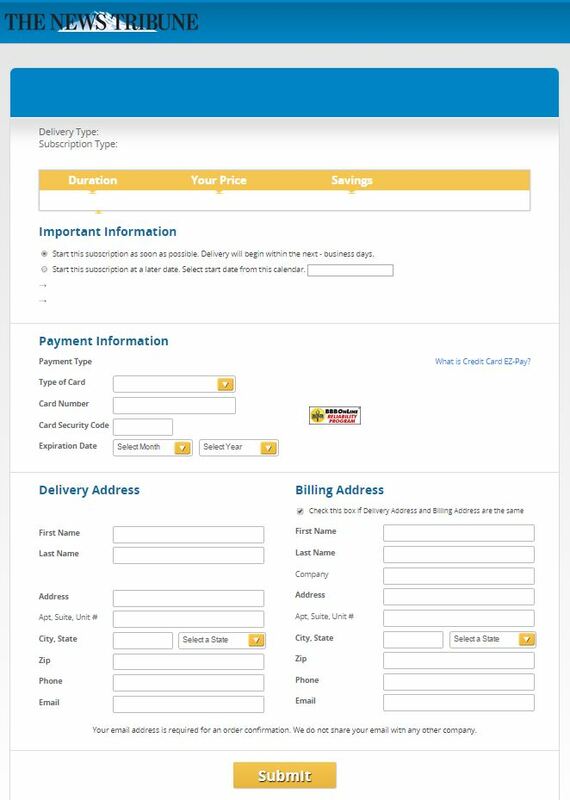 Customize landing pages to reflect the offers you’re promoting, and capture their order immediately on the same page! NSS will deliver a cleaner user interface, incorporate your own brand elements, include clear offers, and drive to more effective calls to action. Create as many NEW landing pages as you want, matching the graphics in your marketing campaigns and supporting the capture of orders on the same page (each built for a nominal fee). NSS has captured best practices from years of experience and success, and created a program that more closely assists newspapers in converting website visitors into subscribers from newspapers’ own websites. It’s proven. It works. 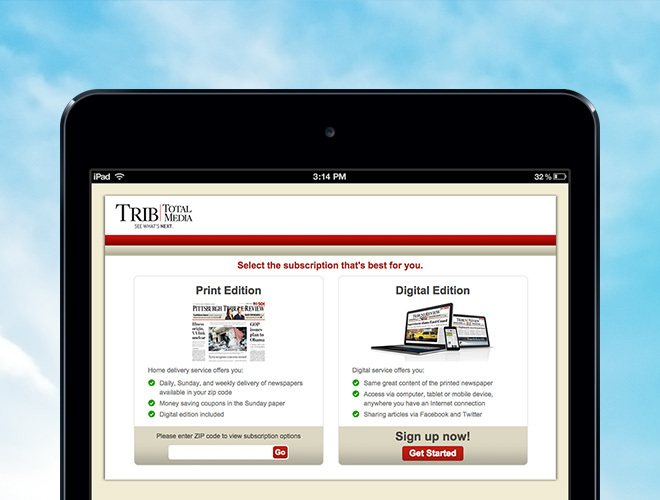 Customized landing pages include colors, logo, and offer all branded to your newspaper’s marketing, style, offer, and audience development guidelines. Variable Pricing Displayed by Promotion Codes. Special offers pages allow for the display of variable pricing offers, depending on the coupon code or promo code entered by the consumer. You can advertise promotion codes in any of your marketing campaigns, and use the same landing page to capture their order! In addition, a tracking page captures the promo codes entered, so you can measure and track the success of your marketing efforts. Newspapers like yours can see a huge increase in conversion rates when promoting new home delivery subscriptions through the NSS Circ Marketing Site. Partner with NSS for more flexibility in delivering customized landing pages quickly and improved user experiences that result in more new orders. This program is a natural addition to the Online Marketing Program from NSS and was created in response to client requests for assistance. Evolve and upgrade your e-commerce checkout experience today! Need more details? This in-depth webinar provides a comprehensive presentation.